The Bridge Home is a rustic lake house located at Lake James in Nebo, North Carolina. We have been working on plans for The Bridge Home for the past year and were excited to see it break ground earlier this summer. 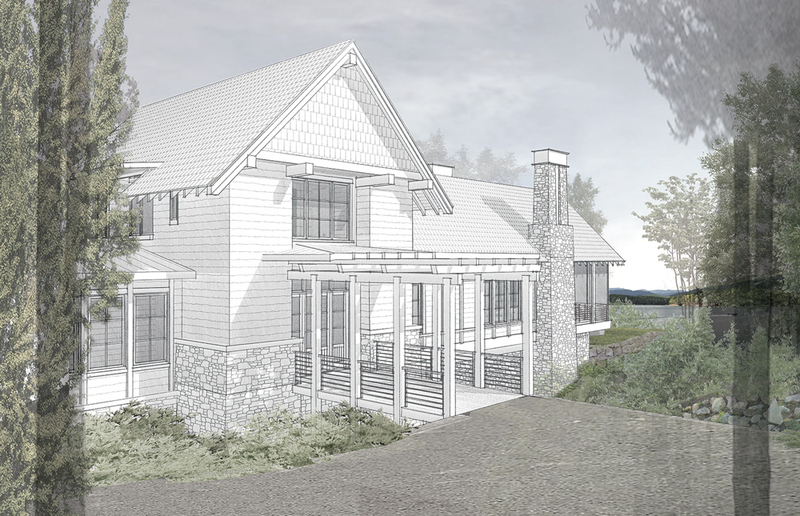 Our clients came to us with a desire for a home that was functional, comfortable and one that has a strong connection to the outdoors and lake surrounding. The challenge, though, is the property. The site is very heavily wooded, with steep slopes and three ravines that run through it. But, instead of fighting it, we chose to work with the difficult terrain. 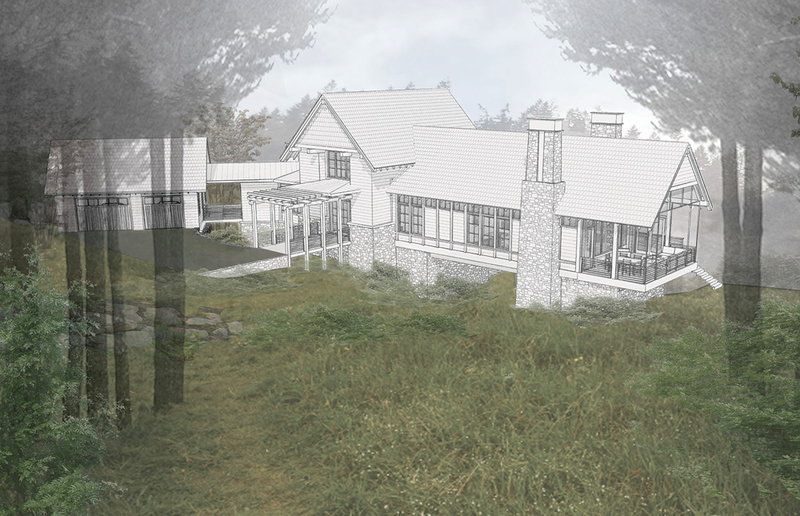 The footprint of the house gently follows the natural contours of the land before the house itself becomes a bridge over a ravine to the west side of the property. This bridge will hold the main living spaces, kitchen, dining and living room and will be capped at the end by a screen porch. We wanted the bridge to complement the land, so we created an aesthetic that made the home look like it was built around an old, existing wooden bridge. There are two fireplaces that flank the sides of the main living space that hold up the end of the bridge and anchor it to the ground. The property offers amazing views. A long range view to Mount Mitchell in the west and views of Lake James to the south. The home is clean and understated using stone, wood and glass. Inside, the owner suite will be on the main level with a recreation room on the lower level. The upper level, dubbed the Treehouse, will have a lookout balcony. 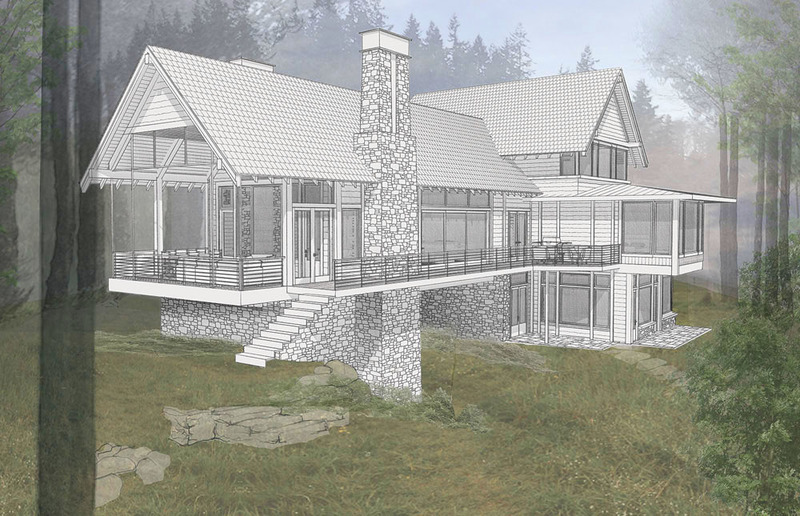 The upper level will sit in the tree canopy and will afford long range views to the south and west and will be a great spot to watch the sun set.